Supported by the singles “Tony Montana,” “Magic,” “Same Damn Time,” and his current R&B falsetto-ode “Turn on the Lights,” Future returns with the re-issue of his Pluto album. 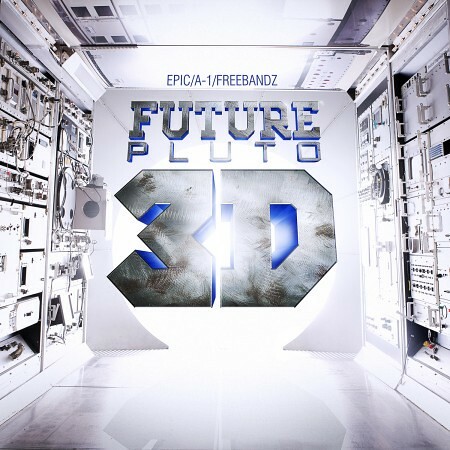 Titled Pluto 3D, the re-packaging of his 2011 debut features five additional songs consisting of two remixes (“Same Damn Time,” “Neva End”) and three new songs. The project drops November 27th, the same day he’s set to perform on Jimmy Kimmel Live!. View the tracklisting, plus watch Future’s appearance on NBC’s Nite Cap with Peter Bailey after the jump…..
NBC’s NiteCap Peter Bailey catches up with the ATLien in Miami at Poe Boy Studios. The two discuss the Miami-Atlanta connection in hip-hop, his come up, his storytelling, thoughts on the public’s reception on Pluto, and his upcoming documentary.